Almost one century has passed since Kamoi Kakoshi Co., Ltd. was established by the founder Toshiro Kamoi. It started with the production of fly catch paper. Over the years, the company developed paper adhesive tape and hereafter a variety of tapes followed utilizing Kamoi’s adhesive technologies. In 2006, the company received an email from 3 women in Tokyo who were using their industrial tapes in beautiful craft projects. Amazed by this surprising and wonderful usage, Kamoi Kakoshi invited the women to visit their factory. 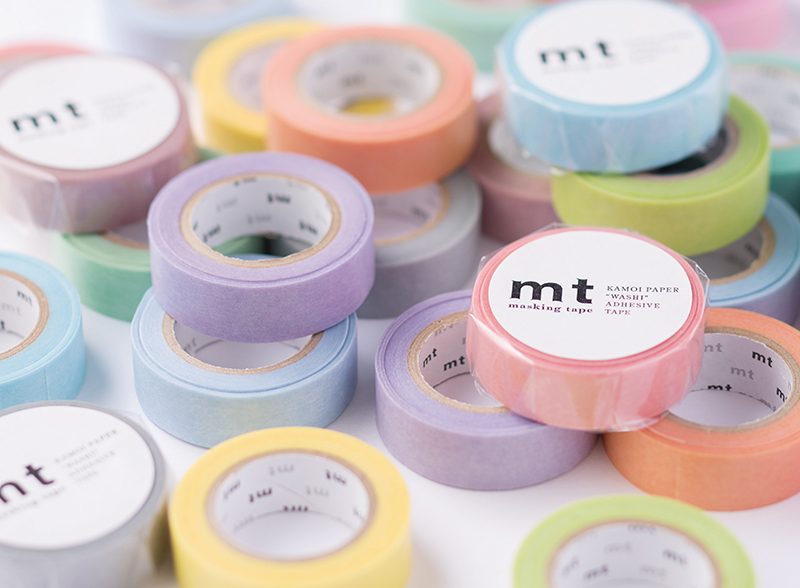 This visit inspired the development of an entirely new and original category of tape: mt brand washi tape, colourful tape, which is easy to tear by hand and reposition on nearly any surface. ”mt” continues to evolve by offering beautiful styles of masking tape without concessions on design and quality. The combination of traditional Japanese design and functionality has resulted in the creative world of Kamoi masking tapes.